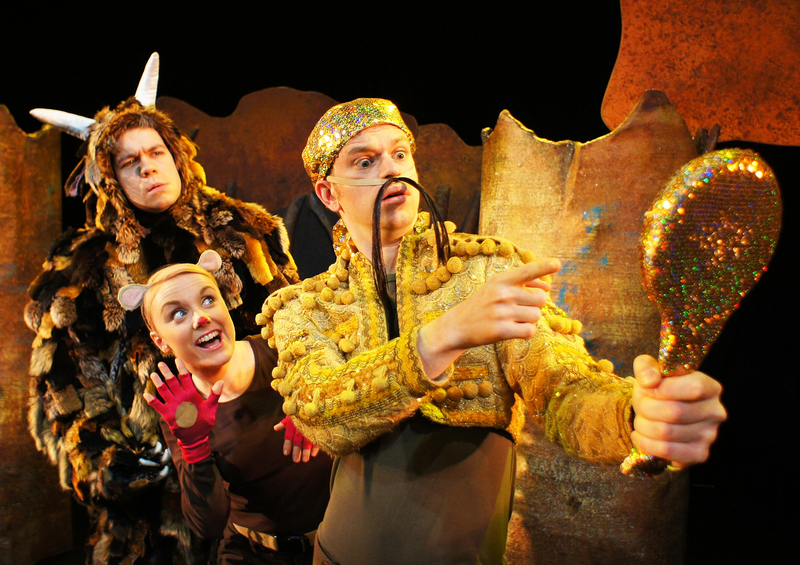 Join Mouse on an adventurous journey through the deep, dark wood in Tall Stories' magical, musical adaptation of the award winning picture book by Julia Donaldson and Axel Scheffler. With only a nut map and a very vivid imagination, Mouse runs into several animals ready to turn him into lunch - the smirking, wheeler-dealer Fox, an eccentric old Owl and a maraca-shaking, party-mad Snake! 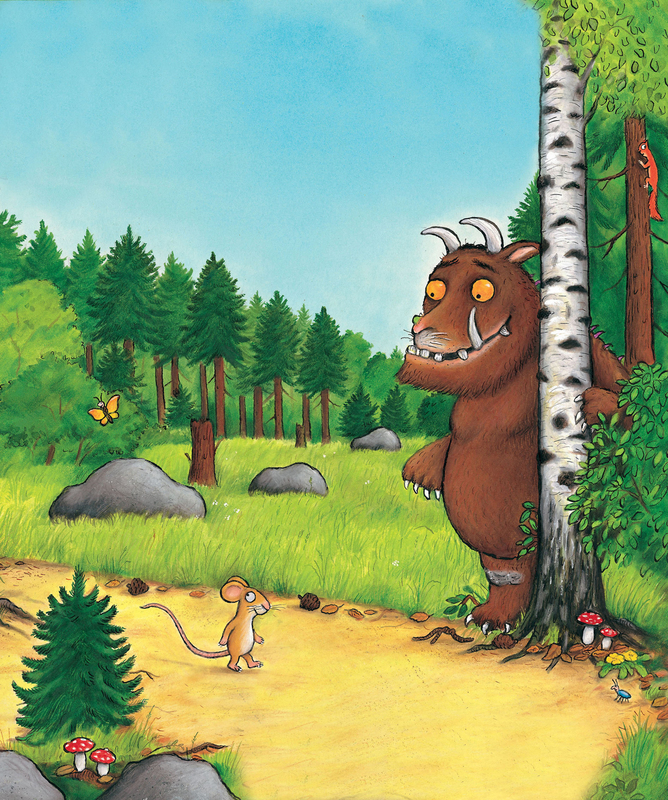 Mouse can scare these hungry animals away with tall stories of The Gruffalo - an imaginary, monster friend! Or so he thinks! Little does this clever Mouse know, but The Gruffalo exists! So what happens when he comes face to face with the very creature he imagined? Now Mouse will have to escape his jaws, too! Tall Stories production of The Gruffalo has toured all over the UK, Germany, Austalia, New Zealand, Singapore and now coming to Malaysia! Songs, laughs and scary fun for children aged 3 and up and their adults! Let your imagination run wild! For ages 3 and above. Tom trained at LAMDA. Theatre credits include 'Emperor and Galilean' (National Theatre), 'Write Up: Response' (Donmar Warehouse) and 'Polling Booth' (Theatre 503). Work for ENO includes 'The Flying Dutchman' and 'Billy Budd' (London Coliseum). Tom has also toured the UK with work including 'Romeo and Juliet', 'The Tempest', 'The Merchant of Venice', 'Twelfth Night' and 'Richard III', and worked in Germany on a tour of 'Much Ado about Nothing'. Recent TV work includes 'John Bishop's Britain' (BBC) and appearing as one of the faces of Carlsberg for their 'Euro 2012 The Pledge' advertising campaign. He is also currently working on a new sitcom being developed by Woolwich Works. 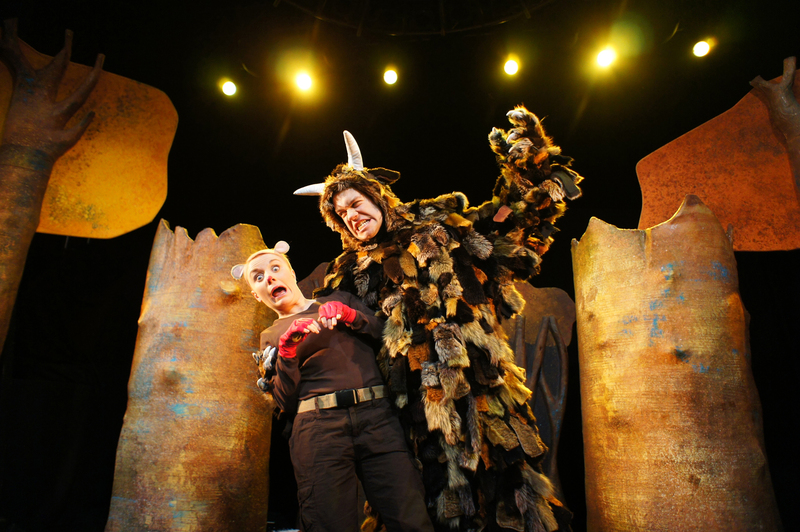 Tom is thrilled to be working with Tall Stories once more following a UK No.1 Tour of 'The Gruffalo's Child'. Susanna graduated from the BA Acting course at Italia Conti Academy of Theatre in 2012. Previous Tall Stories work includes, 'The Snail and the Whale' (UK, Hong Kong & Singapore) and 'The Gruffalo' (North America Tour). Other work includes Sarah in 'Emotional Abuse' (NSPCC film,) Marie in 'The Three Lives of Lucie Cabrol' (Edinburgh Fringe Festival,) Eileen in 'Just another Friday' (Jermyn Street Theatre, London Fringe.) Little Flower in 'Hound' (Riverside Studios) and most recently, Patricia Milligan in 'London Wall' (feature film.) Susanna is really looking forward to a Malaysian trip with the Gruffalo gang! Originally from Gloucestershire, Tim trained at Bretton Hall College in Yorkshire. Tim's theatre credits include 'This Land, The Story of Woody Guthrie' (Interplay Theatre/West Yorkshire Playhouse), 'Hansel and Gretel' (Theatre Royal Wakefield), 'Pay Day' (New Perspectives Theatre), 'Precious Bane' (Interplay Theatre), 'Liber Mundi' (Harrogate Theatre), 'The Wonderful World of…' and 'Frogman' (both Bent Architect). He also toured nationally in Big Wooden Horse's adaptation of Oliver Jeffers' book 'The Way Back Home'. Tim's journey with 'The Gruffalo' has seen him perform in the West End, extensively tour the UK as well as trips to Hong Kong, Singapore, Dubai and North America. Tim is delighted to be returning to the Deep Dark Wood! Olivia trained at Central School of Speech and Drama and obtained an English Degree from the University of London. Directing credits for Tall Stories include: The Gruffalo, (UK, West End, Broadway, USA, Australia, Hong Kong, Dubai and DVD), The Gruffalo’s Child (UK, West End, Dubai), Room on the Broom (UK, West End, USA, Singapore, Hong Kong), Mr Benn, How the Giraffe got its Neck (UK, Singapore), Monster Hits (UK, Singapore), Something Else (UK, Poland), Them with Tails, Mum and the Monster and Snow White (UK, Broadway and USA). Olivia was previously Artistic Director of Camden People’s Theatre, where she directed The Monkey’s Paw and The Necklace. She is joint artistic director of Tall Stories, which she co-founded with Toby Mitchell in 1997. Toby studied at Cambridge University and trained at Central School of Speech and Drama. Directing credits for Tall Stories include: The Snail and the Whale (UK, Poland, Singapore), Twinkle Twonkle (UK, USA), Does a Monster live Next Door?, Cat and No Mouse, The Snow Dragon (UK, USA, Poland, Singapore, Hong Kong), The Owl and the Pussycat and Alice and Mr Dodgson. He recently directed German-language productions of The Gruffalo and The Gruffalo’s Child for the Junges Theater Bonn and he’s hoping someone will want to produce the shows in Paris next. Other directing/devising work includes: Monsters Got Talent, A British Guide to French Pop, The Island of First Loves, The Truth and The Egg. Prior to Tall Stories he worked as a French teacher and a children’s book editor. He is joint artistic director of Tall Stories, which he co-founded with Olivia Jacobs in 1997. Lucy studied Drama and Theatre Studies at Trinity College, Dublin. Immediately after completing her degree she went on to do an MA in Acting at East 15 Drama School. Lucy previously worked with Kenny Wax and Nick Brooke where she was the General Manager for their children’s theatre production company KW & NB Ltd. She also worked for Kenny Wax as a Production Assistant when he worked at PW Productions. Charlotte studied Drama and Physical Theatre at St Mary’s University College, Twickenham graduating in 2010. Before Tall Stories she worked at The Gate Theatre, Notting Hill and as a freelance stage manager.